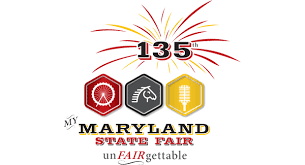 The 135th MY Maryland State Fair will be unFAIRgettable. The fun begins with Preview/Ridemania night on Thursday, August 25. Maryland State Fair buildings, barns, thoroughbred racing, Midway rides, games and food and more will open on Friday, August 26. Look for the countdown clock on www.marylandstatefair.com. #MYMDSTATEFAIR.